If you are local to Hampstead Heath, you will know the newspaper Ham & High. 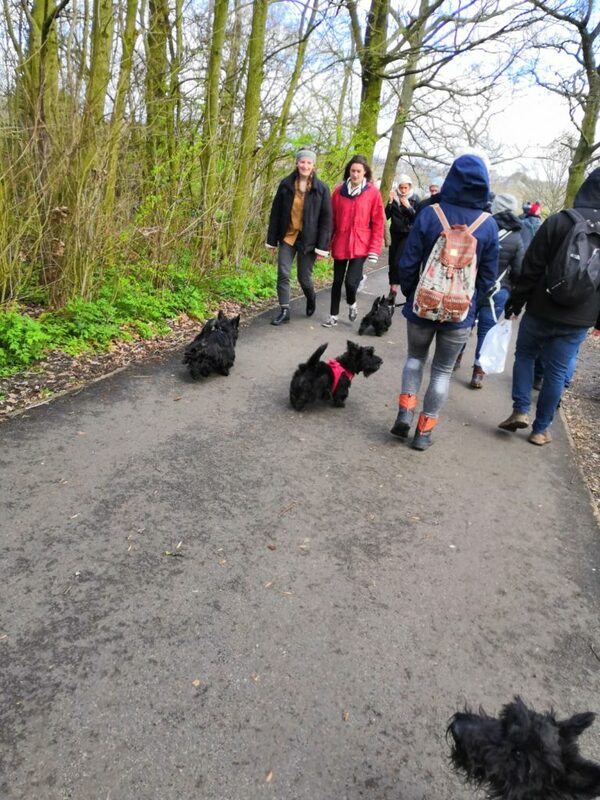 Well Scotties brought everyone to a high point too when they met for a walk on March 10. 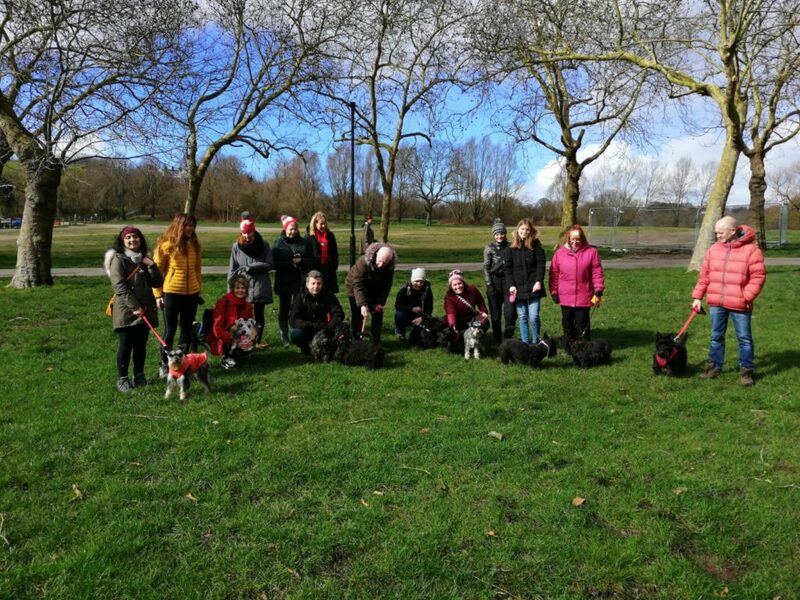 The wind, rain and hailstones were no match for our plucky crew of Scotties (and a few pals – Schnauzers x2, Cockapoo and one cardboard cut-out Schnauzer from USA) at the Hampstead Heath meet up! 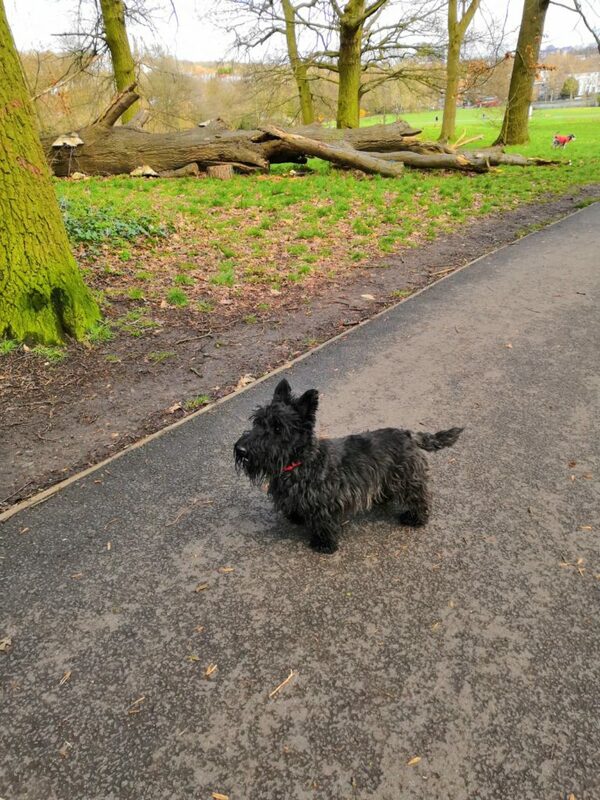 Seven Scottie soldiers attended, a great turn out for a not-so-great pre-Spring day, proving that perhaps it’s not just the Scotties with a stubborn streak in them…?! Our friend from Tennessee was so taken by the Scotties that although a Schnauzers owner for over 30 years, is now going to get a Scottie pup next! She did ask all owners the main traits of a Scottie – Stubborn & Great Characters were top of the list. A gallery of photos from the event follows. 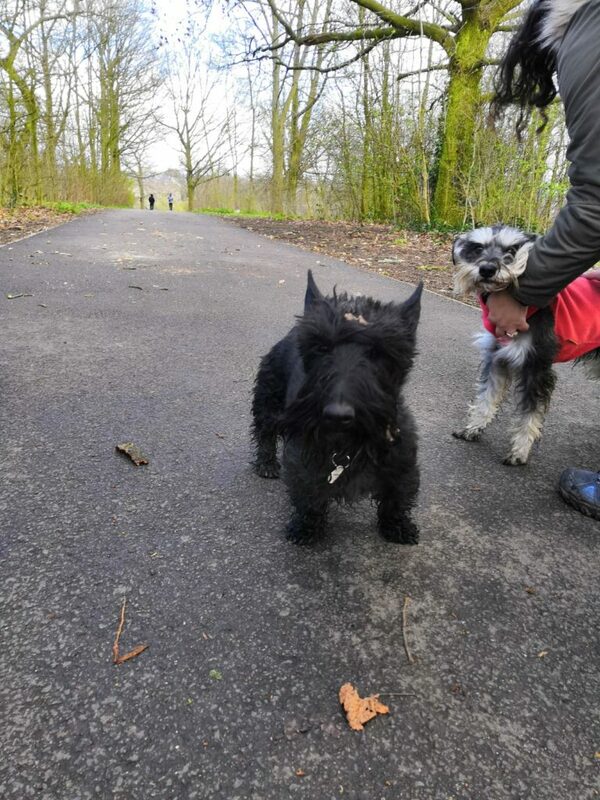 Our thanks to Assunta for organising this unofficial meeting of the London Scottie Club. It was arranged at short notice via our WhatsApp Convo group, proving the success of this social media messenger for the club! It has also given us an idea. 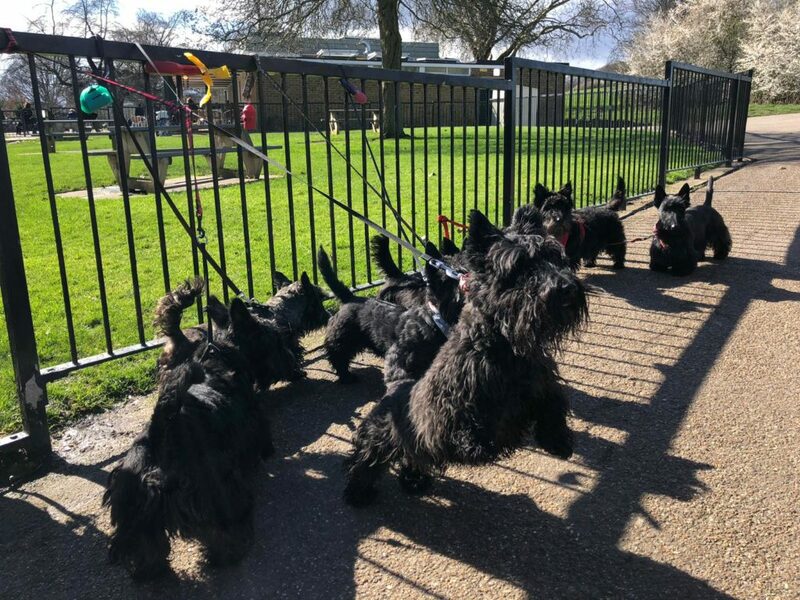 London Scottie Club would like to enrol some of its regular and active members to become Meeting Marshalls. This involves arranging meetups in their part of London so that all LSC members can reach at least some meetings in the year. Meeting Marshalls will have the full authority to arrange meetings in between other meetings and so boost the number of meetings that are possible across our capital! If you would like to be considered for this voluntary but fun role please email info@londonscottie.club and state what area you could organise in and why you should be considered for this role. Thank you.